Christmas deals and new sizing charts released! This Christmas marks a new beginning for big and tall men around Australia. No longer do they have to politely put up with clothing gifts that are several sizes too small for them. Buying for large size men has become a whole lot easier thanks to Ron Bennett Big Mens Clothing. In the past, purchasing a new shirt or pair of jeans for the plus size man in your life came with a series of headaches. Big men can be shy about revealing their size so you often had to take a wild guess and buy clothing for them based on what size you think they are. This can lead to a number of problems. You may buy that T shirt or polo that is way too big, risking them becoming embarrassed at just how over-sized you consider them to be. Or you may buy the item of clothing that is several sizes too small. This can lead to further embarrassment when they try on the clothes and find they simply don’t fit. 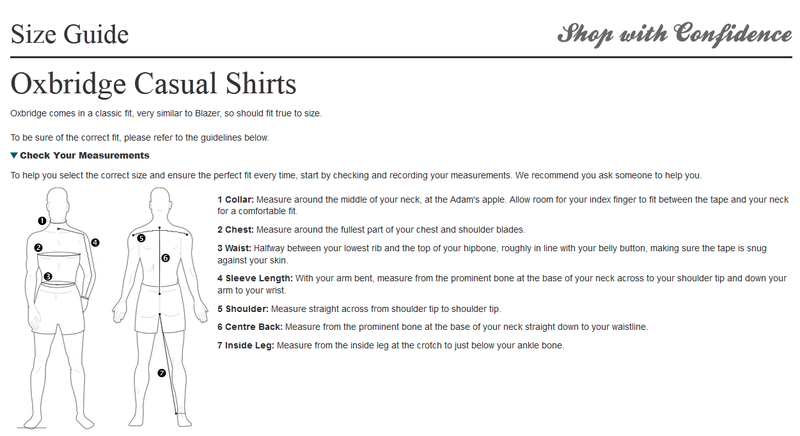 When shopping online for clothes at Ron Bennett Big Mens, you can utilize our free sizing chart that can give you a better understanding of how big that man in your life may be. There are clear visual guides and even videos describing how to measure a big and tall man so you never need to face the awkwardness of buying presents that are too big or too small ever again. This year, we have gone a step further and created the ultimate Christmas gift guide to suit your specific budget. Items are divided into three categories. The first is Gifts under $50 for those that are on a budget but still want some quality ideas for presents. This category includes Oxbridge short sleeve casual shirts, printed T shirts from Blazer and great looking Bennett shorts. For gifts under $100 there are Sons of Ron pique polo’s and printed cotton shirts, Bennett short sleeve cotton or linen shirts and incredible casual shirts from Blazer. For those willing to splash out on their large size man this Christmas and spend over $100, we have a great range of Nautica casual shirts, Gant jeans and a huge choice of high quality products from RM Williams to choose from. Buying gifts for the big and tall man in your life does not have to be a hassle. Take a look at our online store and discover how we are making this Christmas a breeze for you.